CHARLESTON, S.C. – A candidate for South Carolina’s lieutenant governor position is encouraging Christians to pull their children out of public schools and pursue other educational options, like private schools and homeschools. 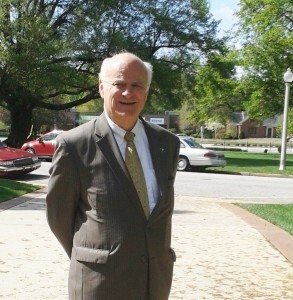 E. Ray Moore is a Republican candidate vying for the lieutenant governor seat in South Carolina. A former army chaplain, Moore often emphasizes the importance of faith and family. He and his wife lead the organization Exodus Mandate, which is a Christian ministry designed to promote homeschools and Christian schools. “It is our prayer and hope that a fresh obedience by Christian families in educating their children according to Biblical mandates will prove to be a key for the revival of our families, our churches and our nation,” Exodus Mandate’s website states. After announcing his bid for the lieutenant governor position in March, Moore has used his political platform to promote parent-guided, Christian education. Moore’s campaign slogan is, “What once was can be again,” and he says a return to family values and the United States’ Christian heritage is essential for the health of the nation. “If we go back to these principles and our Christian heritage, we may find with God’s mercy ‘what once was can be again,’” he said, according to WND. Last month, Moore spoke at the “Liberty Rally” in Charleston and shared his convictions on the state of the country and the dangers of the public school system. “We cannot win this war we’re in as long as we keep sending our children over to the enemy to educate them,” he stated. Moore also said that the public school system is “godless” and “pagan,” and that it “cannot be fixed” because the system follows a “socialistic model.” He then encouraged parents to either homeschool their children or enroll them in private Christian schools. Moore will face three other Republican candidates in the June 10th primary race.